So the Wood Packaging Federation in germany. Sounds good to me. Still, a few precautions should be observed, especially if you’re outside the EU. 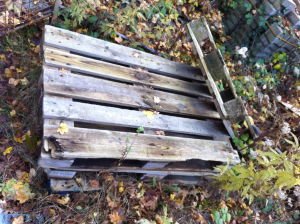 In the U.S. it is warned against fungicides and pesticides, which are used to treat wooden pallets. Additionaly its advised against the possibilities of e.coli contamination or other bacteria. Organic authority recommends (besides some other good advice) to look for pallets with an “HT” stamp – those pallets are Heat Treated for sterilization instzead of the other and more questionable method of fumigating them with methyl bromide. Greenupgrader even warns against HT stamped pallets, saying that this can also mean treatment with chemicals (what i think is plain wrong). OTOH, according to rootsimple even methylbromide is effectively no problem, for no residue should remain on a pallet after proper areating. I’m undecided on that one, though i tend to think that it is indeed no problem. There are some other more “critical” sources , but i deliberately won’t link to sites like pallettruth.com, for they seem to be quite obvious propaganda pages from plastic pallet producers. Not an easy one, but again, i think with a clean, preferrably disposable wooden pallet you’re totally OK. Or at least as ok as with any other piece of industrially produced furniture – those aren’t totally untreated wood either. 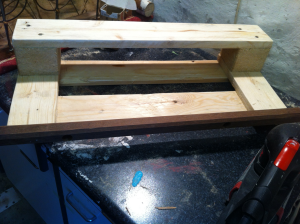 “A clean wooden pallet” brings us to the next considerable point. 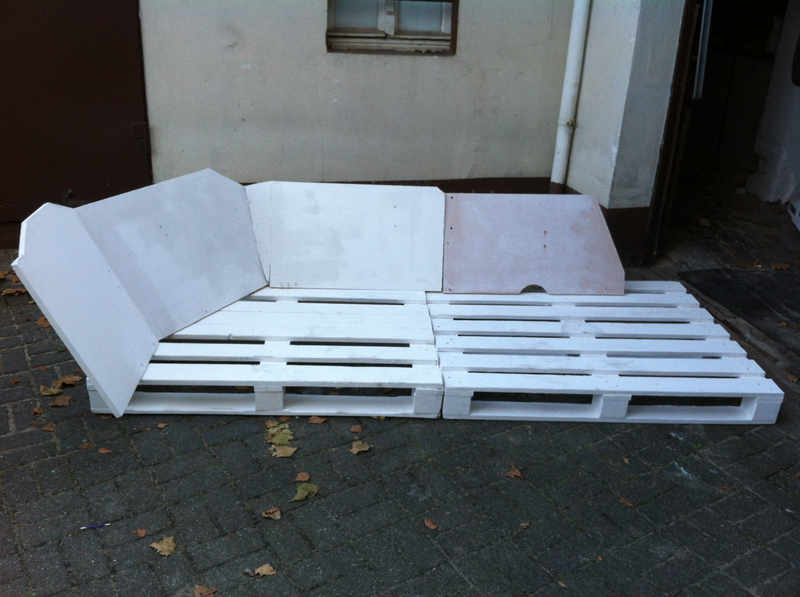 Its quite obvious: even untreated pallets are contaminated occasionally. The aforementioned E.Coli history was observed in pallets used for food transport, it can be assumed that a returnable pallet gets soiled depending on the industry it is used in – oil, paint, dust, mold, solvents, whatever can accidentally pour out, in all the different industries pallets are used in. Again, I prefer disposable pallets anyway, those are usually used only once and therefore more likely to remain clean. 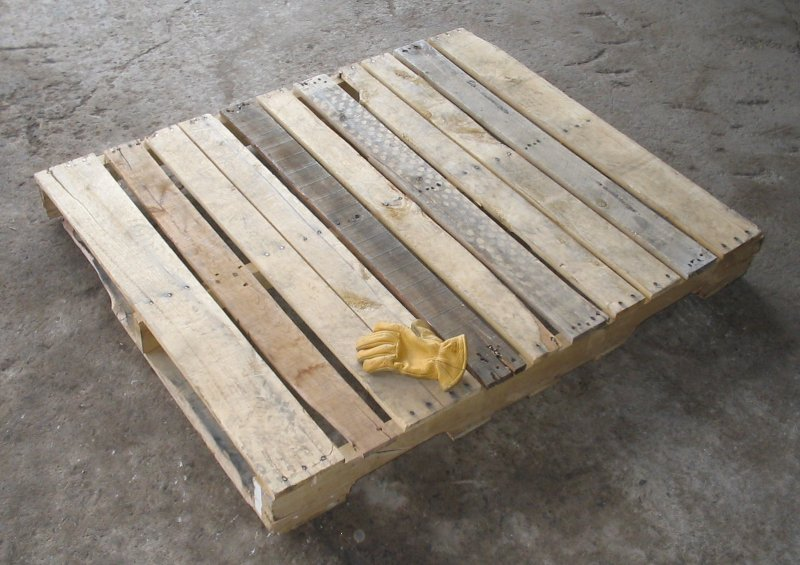 The basic cleaning and processing of pallets should take care of the “normal” dirt on a pallet before its usage in diy furniture. So far, so good. Now, since we work from now on with unsoiled and non-harmful pallets, after having them cleaned and grinded, I daresay we’re less at a problem as with many industrially produced furniture made of chipboard and glued plastic wood imitation. “Professional” furniture is not unknown to occationally fuming out solvents, dispersants, formaldehyde and so on. So what about the second unclear point occationally disputed: how are things with the LCA/ecobalance? 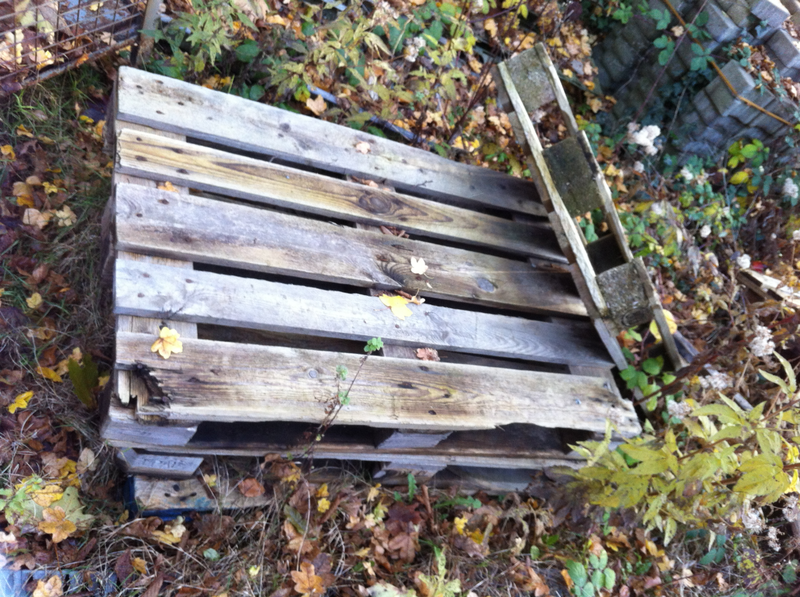 Pallet furniture: ecologically useful upcycling? The real positive effect on ecology seems to me the furniture that does not need to be produced. DIY pallet furniture is definitely more resource-efficient than the production of a corresponding piece of furniture of the similar price range by industrial production. We use processed natural wood, we don’t need chemical treatment or solvents, no plastics and we produce less transport/traffic efforts. Another point which plays a role especially with me: stuff gets an usage which is “already there” – remains of old furniture, the remaining half bucket of white wallpaint, a few wooden poles laying around and getting eventually thrown away. In the pallet sofa i installed, for example, old shelves and bed parts as backrests, all is painted with the rest of the wall colour we used before moving in our actual home. Stuff that would otherwise eventually being thrown away. I like that and it seems to me quite sustainable. Before using a wooden pallet it is always a best choice to check where those pallets came so, that you’ll know if it’s chemically treated or not.